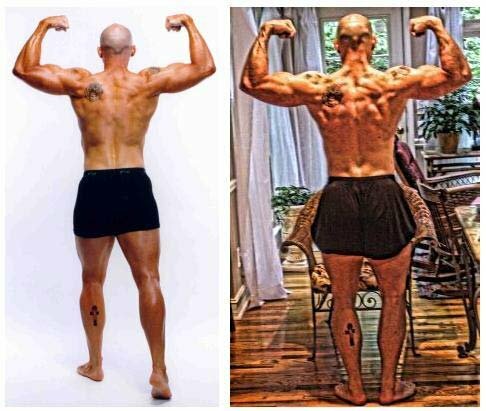 Jeremy is a Certified Fitness Trainer and a Specialist in Performance Nutrition. Both certifications are awarded by the International Sports Sciences Administration. 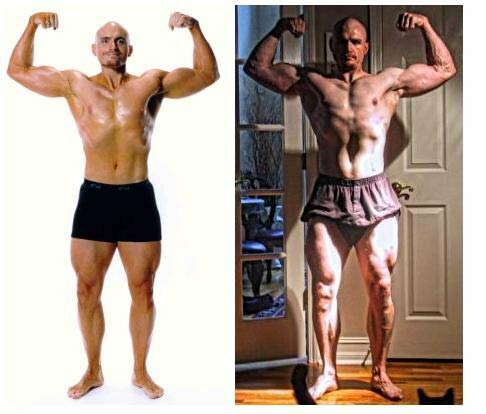 These certifications, combined with his vast experience assisting clients with physique transformation, have earned him his reputation as a top International Health Coach. August of 1999 & Present. Jeremy is the founder and CEO of Natural Physiques, a division of Golden Summit, Inc., a company with the mission to empower individuals to lose weight and live healthy. 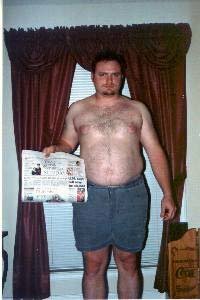 Jeremy is also a prolific writer who has been published in internationally renown technology magazines (iSeries, formerly News/400), fitness related publications (including Pounds-a-Weigh), and many on-line magazines such as Bodybuilding.com, Dolfzine.com, Tom Venuto's FitRen.com, Ian King's Get Buffed! Newsletter, and ProTrainerOnline.com. 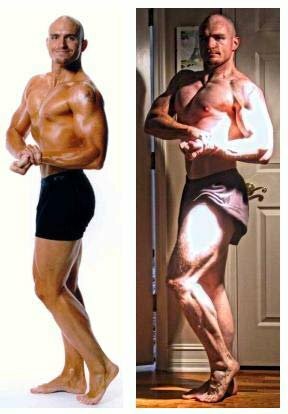 His transformation has been featured in David Greenwalt's "The Leanness Lifestyle" and his pictures appeared in a calendar for the same system. Jeremy Likness is the author of the eBook, "Become the Journey: A Transformation Guide." This book reveals how to take control of you to master a healthy lifestyle. It focuses on training, nutrition, and the personal development aspect of physique transformation. Jeremy also produces a series of empowering CDs that focus on topics such as belief, mindset, cardiovascular fitness, nutrition, and resistance training. For more details, visit his website at www.naturalphysiques.com. The Practical Way To Lose Fat! Today's society is about speed. We no longer have to wait for the oven to warm our food because we have microwaves ready to do the work in less time. The same is not true when it comes to fat loss. Read on to learn about setting realistic goals. Many people operate in an either/or mode - either they are following a program perfectly, or they are simply going wild with their eating habits. These are the top ten ways you can boost your metabolism and keep it high - even through Fall. It is important that you know how to shop for quality foods. This article explains how to maximize your trips to the grocery store by revealing exactly how to read labels and find healthy foods. How do I get strong enough to perform a full pull-up? Let's analyze the pull-up and create a plan of attack! Core & Abdominal Training: Get Great Abs! Abdominal training is very misunderstood. Many people place a lot of emphasis on abs without understanding how the abs function or why they are even training in a certain way. Let's explore the correct way to train abs for the results that you want! Form For Fitness: Are You Using Proper Form? What is the correct way to train, and how do you sort through the information? Learn some of the important aspects of form. The Shoulder Joint! Exercises And Stretches. Some of the most common weight training injuries involve the shoulder joint. More often than not, these injuries are due to improper form or lack of control when doing non-shoulder specific exercises. Learn how you can prevent these kind of injuries. Heart Matters: Are You Training Your Heart? Instead of relying on cookie-cutter formulas, you can use your heart to tailor your workouts to your own unique body. Learn that the heart matters and use the information to build your peak physique. I have used thermogenics in the past, but for a very different reason than most people use them. This article will focus on facts about ephedra and explain how I use it! Change Your Rep Tempo For Max Gains! There are a million ways to train. One great way to add variety to your training is to understand and use the concept of tempo. These holidays I encourage you to have fun and enjoy the Halloween treats, but balance them with proper nutrition. Find out how you can for Halloween. This article is to help those who have a lot of fat to lose. It is not for the experienced bodybuilder, preparing for a competition, or even the fitness enthusiast struggling to drop those last 5 or 10 stubborn pounds. Learn How To Measure Your Success! There are many ways to measure your success with any fitness program. There are many factors that can illustrate your progress, and many ways to measure each factor. This article will discuss several ways to measure your success! I thought I would share some of my favorite recipes with hopes that it will inspire others to enjoy their nutrition as well! This article will explain the history of bread, the types of bread, and the role that bread can play in the quest for good health and a better body.